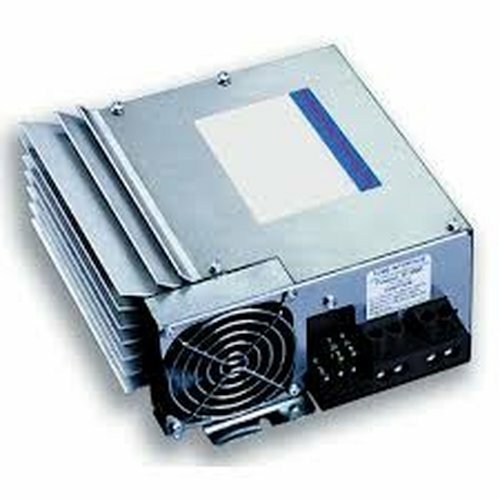 The Inteli-Power 9100 Series is the 12 volt converter/charger of choice by leading manufacturers. These solid-state converter/chargers deliver filtered DC power to all 12 volt lighting and appliance circuits providing safe and reliable service. Reverse battery protection protects converters from damage resulting from improper (reverse) battery lead connection while electronic current limiting automatically reduces output voltage when maximum capacity is reached, protecting your investment. 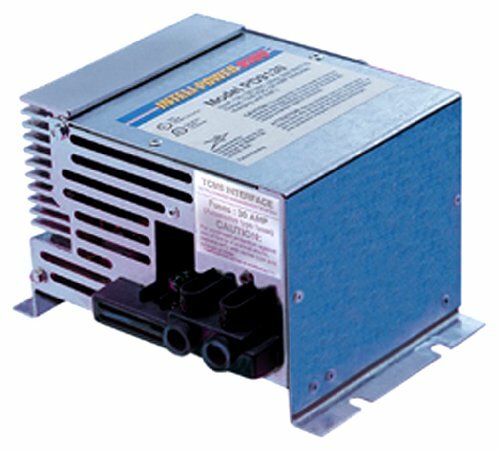 High voltage protection protects the converter from spikes or surge of voltage over 135V. Low line voltage protection automatically shuts converter down if input voltage is insufficient and protects appliances from damaging low voltage irregularities. Variable speed intelligent cooling fan automatically monitors converter temperature and activates fan at speed required. Very slow quiet speeds are used when demand is low such as during sleeping hours. Automatic thermal protection reduces converter output to safe levels when unit temperature exceeds pre-set limits and protects converter from damage due to excessive heat. Equipped with 15 Amp electrical cord. Input: 105-130 VAC, 50/60 Hz, 1000 Watts. Output: 13.6 VDC, 60 Amp. Dimensions: 9.15" L x 7.38" W x 3.6" H. Weight: 5.8 lbs.